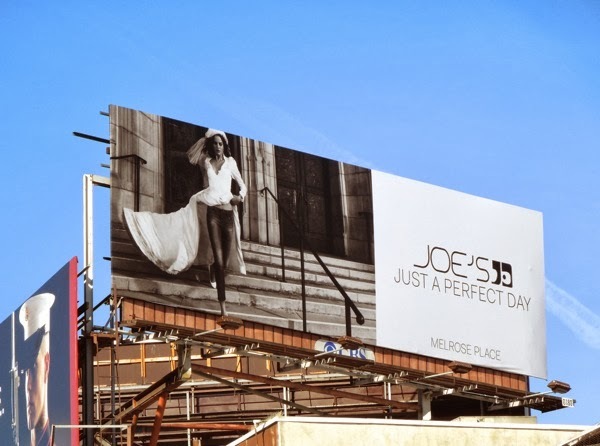 You know, at times the world of fashion can take itself way too seriously and so it's nice to see a fashion brand like Joe's Jeans having some fun with their advertising. 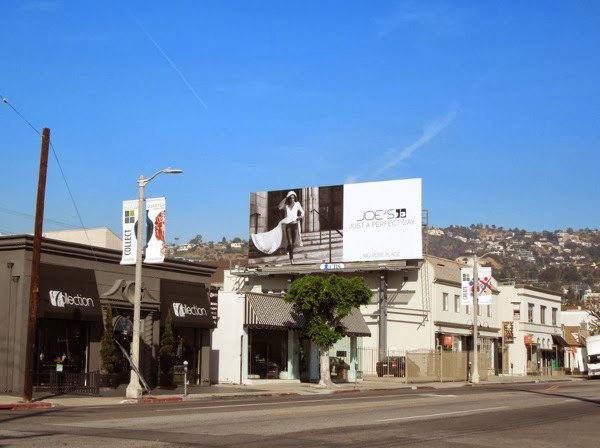 Yes, fashion advertising should be stylish and appealing, but there's also something to be said for having a quirky, memorable concept to attract passersby attention. Daily Billboard loves the whimsy and irreverence of this wedding-themed creative as part of the designer denim brand's Spring 2014 'Just a perfect day' ad campaign. 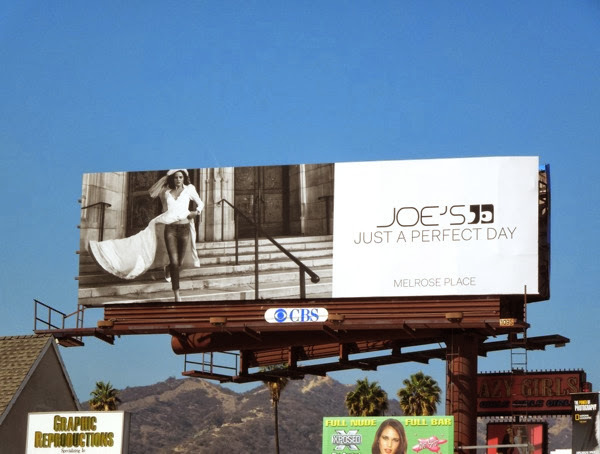 Not only is this billboard eye-catching, but having the female model wearing a pair of Joe's Jeans under her wedding dress on her special day, suggests that her jeans are special and perfect too, and that the denim brand has a sense of humour and edge to it. 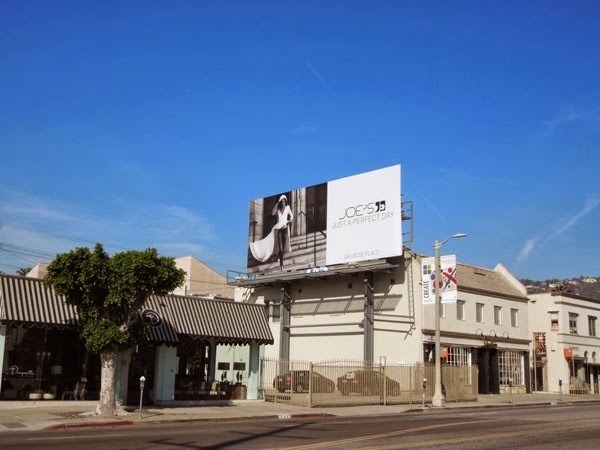 The free-spirited billboard featuring model Barbara Fialho was spied along La Cienega Boulevard, Sunset Boulevard and La Brea Avenue from February 21 to February 27, 2014. 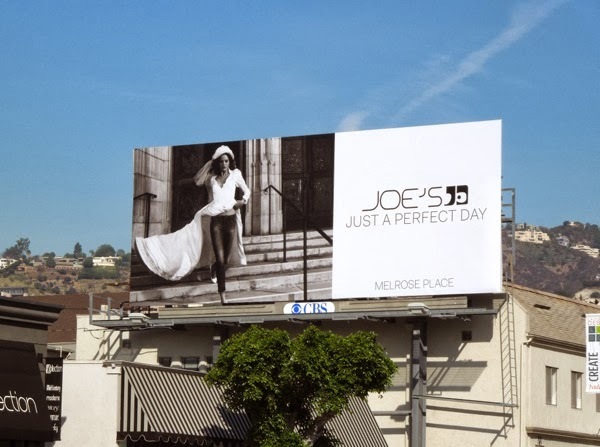 If you like the designer brand, be sure to take a look at these previous billboard ad campaigns for Joe's Jeans around L.A.